Carrier oils are a group of base natural oils used to blend or ‘carry’ essential oils for use on the skin. There are many to choose from, each have their own natural properties and are suitable for different uses. I have covered a selection of the most commonly available and the most useful. Very light & readily absorbed.’ this leaves the skin with a smooth satin finish. It is rich in linoleic acid & vitamins A, B, C & E . Suitable for ALL SKIN TYPES. Use for body and facial massage. Although thick in appearance,it is readily absorbed leaving the skin feeling soft & conditioned.Rich in vitamins A, B & E, antioxidants & essential fatty acids. Suitable for DRY or combination skin, use for body massage and head massage. Light, velvety & readily absorbed it Improves skin elasticity & suppleness. Rich in vitamins A & E & essential fatty acids. Suitable for DRY, DELICATE or MATURE skin, use for facial massage, not for body. Very light & readily absorbed it leaves the skin feeling nourished & softened. Rich in vitamins A, B & E. Suitable for DRY or SENSITIVE skin and can be used for body or face massage. Rich & thick, ideally use a small amount blended with a lighter oil such as Sweet Almond. Leaves the skin feeling soft & rejuvenated. Rich in vitamins A, B, D & E & omega 6. Suitable for DRY, MATURE skin or SCARRED skin. Great for facial massage as an anti ageing treatment. Also great at treating STRETCH MARKS. A light-textured oil rich in nourishing triglycerides, Vitamin E and antioxidants, Coconut leaves DRY, NORMAL or combination skin soft and supple and the hair silky smooth. Use for facial massage and treatments. 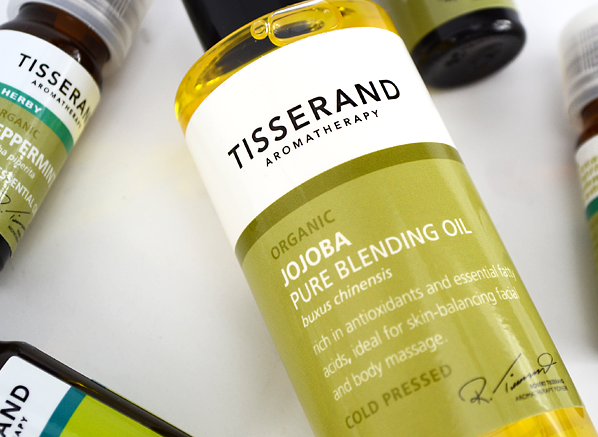 In choosing your oil think firstly where you want to use it and secondly which type of skin are you applying it to? Then blend your essential oils with the base or carrier oil and use straight away. The shelf life of a blended oil if kept cool and in a dark bottle is around a month. The generally accepted dilution is 2% for personal use, which is around 2 drops of essential oil per 5ml of base oil.